Cleaning Green in Philadelphia Pennsylvania is what Building Pro Commercial Cleaning Services LLC does best. 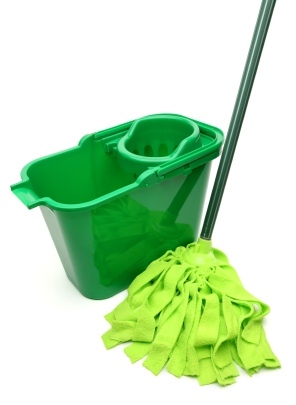 We have been providing green commercial cleaning services to Philadelphia businesses since 1993 If you want your building cleaned using highly effective, non toxic products, call Building Pro Commercial Cleaning Services LLC for a quick, free assessment of your Philadelphia green commercial cleaning needs. It is possible (and preferable) to have a clean, dust–free, sanitized Philadelphia workplace while protecting your employees and customers from the toxic effects of cleaning chemicals and unpleasant deodorizers. With technological advancements in low VOC cleaning agents, green cleaning in Philadelphia has become both powerful and cost effective. Building Pro Commercial Cleaning Services LLC Loves Providing Green Cleaning in Philadelphia and Surrounding Towns! We will proudly use Green Seal approved products for green cleaning of your Philadelphia office, retail store, medical practice, school, church or restaurant. You can choose to use green cleaning products for daily cleaning, restroom sanitization, carpet care and even floor stripping and finishing. Let the experts at Building Pro Commercial Cleaning Services LLC show you how we can Clean your Philadelphia business Green!